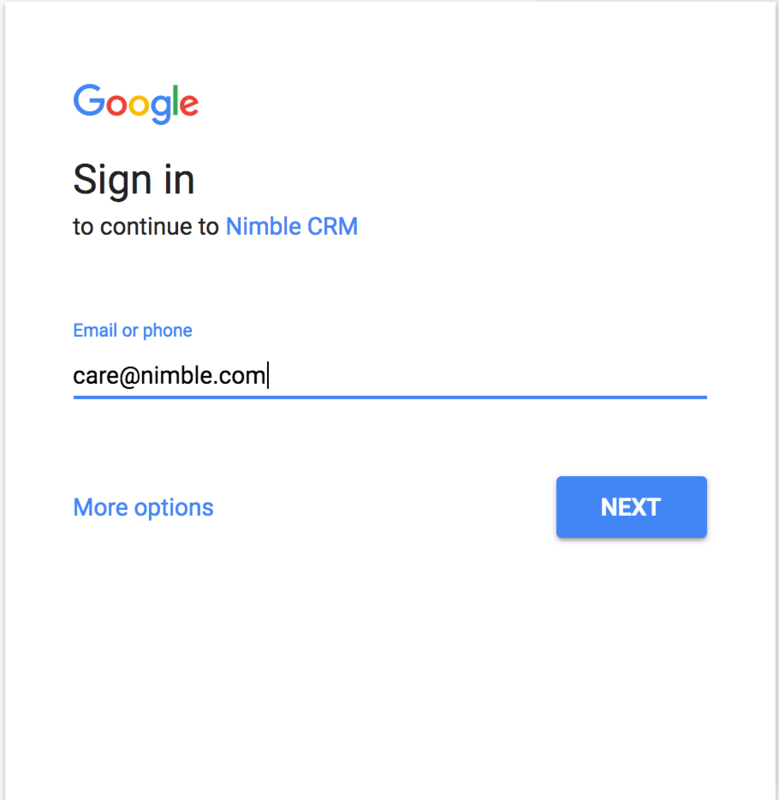 Instead of saving a username/password combination for Nimble, you may select "Log in with Google" to sign in with your Google account. 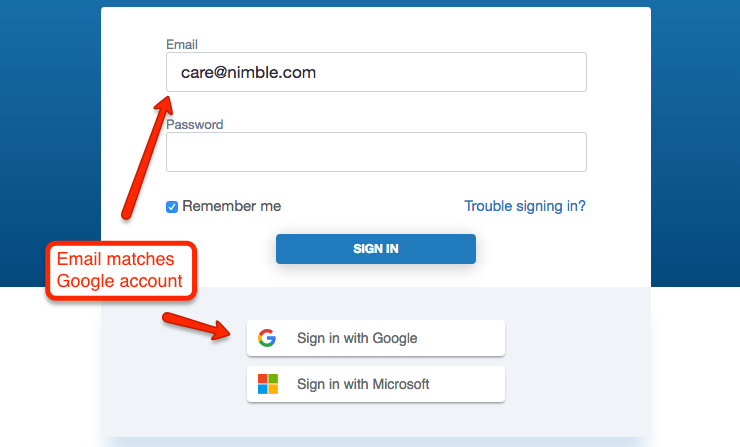 For this to work, you must make sure you've registered your Nimble account under the same email address as the Google Account you are using to sign into Nimble. If your accounts match, simply select "Log in with Google" to open the Google authorization window to sign into your Nimble account. Once the pop-up appears, enter your username and password, and then you'll be in your nimble account.